I was very tempted to start this post off with a quip about the Ghostbusters, but I decided to hold off on that. However, I could always sneak a reference into the post somehow, so stay tuned. Now let’s get down to the crux of things. I know for a fact that many people ask themselves this question on a daily basis, ‘who can I call when my keys are locked in my car?’. It’s a tough question, but not necessarily because it has tough answers. The answers are, in fact, quite easy to arrive at, simply through the process of elimination. I believe it is a tough question because it is one people tend to ask when they are stuck in a tough spot. Chances are if you find yourself asking ‘who to call if keys are locked in car’, it is because you (or someone you know) have locked your keys in your car. Out of all the lockout scenarios, locking your keys in your car is one of the more harrowing ones. This can be attributed to the fact that your car keys are so close, yet so far. But do not fret, there are some solutions close at hand, and I am here to point you in the right direction. Who can you call if your keys are locked in your car? I would like to think that I coined the term ‘spare key buddy’, but don’t quote me on that. I think that everyone needs a spare car key for situations like these. There are many benefits to having a spare car key, none more important than the fact that it saves you from being stuck in a car lockout. Now, let me explain what the spare key buddy is. I believe that tapping into your network of close friends and family can always come in handy if you play your cards right. If you have a spare key, you can stash your spare key with a close family member or friend, who you know will most likely be in close proximity to you, regardless of your location. If you factor in location, it reduces the number of potential candidates for the role of your spare key buddy. Ideally, you shouldn’t give your spare key to someone who is in a completely different state or country (especially if they are in Bermuda). The cost of car key duplication is not steep enough to stop you from making multiple spare keys and dishing them out for safe keeping. So if you need one made, make sure you reach out to your local automotive locksmith, but I digress. Who to call when your keys are locked in your car? Your spare key buddy! This is the person who holds on to your spare car key for safekeeping. It is probably the most cost-effective solution that you can take advantage of. If you find yourself stuck in a car lockout because your car keys are locked in your car, you should call someone who has access to your spare car key. Now, I believe it goes without saying, but you cannot call a spare car key buddy if you do not have a spare car key, or if you have not given one to someone for safekeeping. If you have a spare key handy and you can call someone to get it, then the question ‘who to call when keys are locked in car’, has been answered. If you do not have a spare key handy, please continue to read on. However, you should keep a few things in mind. First, after your lockout crisis has been solved call an automotive locksmith who duplicates car keys and get some spare keys made. Also, do not forget to have the car locksmith program the transponder key for your new spare car key. Programming your transponder key will help you avoid another car lockout scenario, especially if the new spare was an aftermarket electronic car key. Once this has been done, choose a trusted friend or family member to be your spare car key buddy. This way, if you are ever faced with the question ‘who to call if my keys are locked in my car’, you know that you have a dependable answer close by. If you’ve locked your car keys in your car and you are standing there in shock asking yourself who you can call when your keys are locked in your car, look no further than your local automotive locksmith. Automotive locksmiths are like Superman, but for stranded drivers and car related issues, not for saving the world. Regardless of whether you locked your keys in a compartment of your car, or if you locked your keys in the trunk, a locksmith will be able to help you regain access. Some drivers are hesitant to call an automotive locksmith because they are unfamiliar with the processes and expectations of calling a locksmith. Auto locksmiths are highly skilled and usually offer exceptional customer service which translates over into the services that they offer. Also, auto locksmiths are trained to be up to date with modern technology, so they will be able to unlock anything from classic cars to modern luxury vehicles. 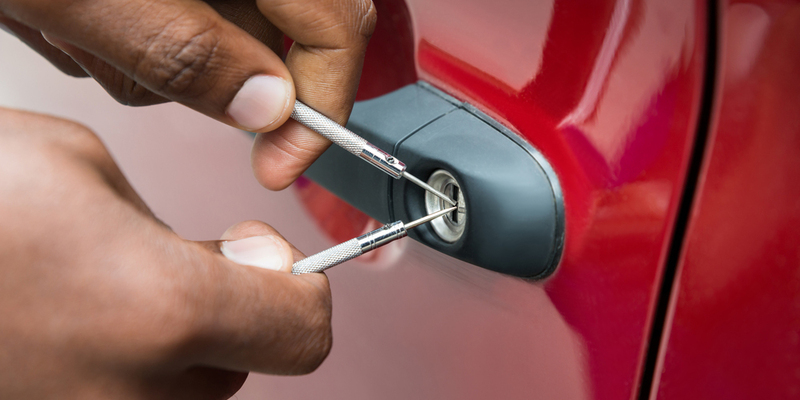 Depending on the make and model of your vehicle, a locksmith will use expert tools to unlock your doors. Examples of these tools range between wedges, slim jims, and auto lockpicks. Unlike residential door locks, bump keys do not work on cars, so they are not an expert tool that automotive locksmiths use. If you are ever locked out of your car and wondering who to call, the automotive locksmith is always a safe bet. Automotive locksmiths are licensed and trained to carry out the task of unlocking your car, so you know, without a doubt, that your car is in safe hands. If your keys are locked in your car, it will take an auto locksmith about 5 minutes to remedy the problem at hand. If you add that to the average wait time of 15 to 30 minutes, you are looking at no longer than 20 to 45 minutes. In comparison to some other alternatives, this is a pretty good deal. Furthermore, most auto locksmiths also have 24-hour emergency locksmith services, which means that they can help you get your locked keys out of your car at any hour of the day. If you are stranded in a remote location, but you still have cell service, an emergency locksmith will be able to meet you wherever you are and assist you. Another answer to ‘who to call to unlock your car’, is the car dealership. However, there are few caveats that come with this answer, which I will address shortly. Now, when it comes to regular car lockouts, a car dealership can help you in three ways. They will most likely be able to provide you with a spare car key, roadside assistance or remote unlocking of your vehicle upon driver verification. However, if you have locked your keys in your car, only two of the above solutions apply. Depending on the type of automotive package that came with your vehicle, your car dealership might make its roadside assistance services available to you. However, this is not always the case. Most of the dealerships that offer this service, only do so for a limited amount of time. Once this limited time offer expires, the driver will have to pay an annual subscription fee of sorts. If you consider how much it costs to unlock your car, you will notice that auto locksmiths are generally the cheaper option. On the other hand, some car dealerships are good at helping drivers via remote access to modern vehicles. Through the use of services like OnStar, dealerships can help drivers open their vehicles remotely. Some dealerships offer this as an additional premium service when you buy a car. However, OnStar can also be added by individual drivers via a subscription plan. This might sound like an unlikely option to some, but calling your insurance company to help you when your keys are locked in your car is always a viable method. Keep in mind that not all auto insurance providers offer this service as a part of your insurance plan. In most cases, you will have to include emergency roadside coverage in your plan. Emergency roadside coverage usually means that your insurance company will be able to send someone out to assist you, or they will end up covering the cost you incur when you call a car locksmith. How much does a locksmith cost? Well, the answer to that varies, but if you have roadside coverage as a part of your plan, your insurance provider will be able to assist you. All you will have to do is provide them with a receipt that details the service rendered. With all the customers that AAA has helped over the years, they are very close to being a household name, if they aren’t already. 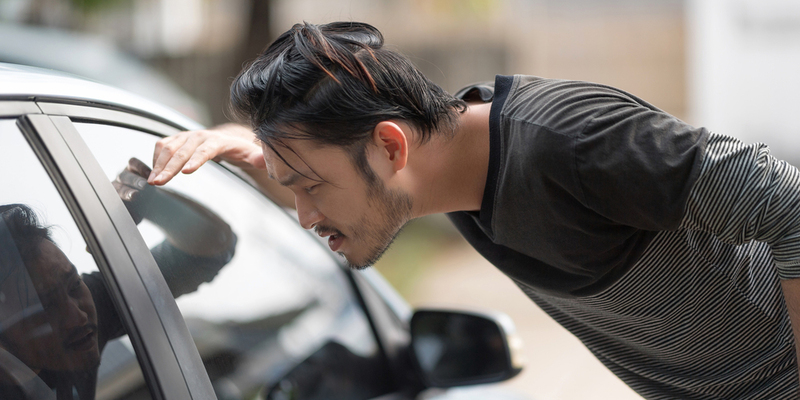 If you ask most random people about who you can call if your keys are locked in your car, their initial responses will be to call an auto locksmith or to call AAA. This service is similar to the one that car dealerships and insurance companies provide, but it is usually a much cheaper affair. If you lock your keys in your car and you are unsure of who to call, you should try calling AAA if you have a membership plan. The subscription is billed annually and they deal with an assortment of auto-related issues. Similar to an auto locksmith, AAA technicians will use wedges, probes, and auto lockpicks to gain access to your vehicle. Although they will be able to adequately assist you with some auto-related issues, AAA technicians will not be able to handle all your automotive lock needs. There is a fine distinction between a licensed automotive locksmith and an AAA roadside service assistant. For instance, an automotive locksmith will be able to help you with an ignition cylinder replacement, but that does not mean an AAA tech will be able to do the same. If you are ever unsure of who to call when your keys are locked in your car, you can always rely on the police. However, there are a few things drivers have to be mindful of before they utilize this service that law enforcement so graciously offers. First off, if you have another alternative that can be explored before you call the police, do that. You should also be mindful of the fact that not all police departments will take the time out of their busy schedule to help you when your keys are locked in your car. In the grand scheme of things, law enforcement has a lot on their plate, from using handcuffs on bad guys, to crafting some crazy real security plans. It’s easy to see why being locked out of your car is so low on the totem pole. However, if you are stranded and you believe that your life is in imminent danger you should not hesitate to call the police. In most cases, the police will require some form of verification that proves you are the owner of the vehicle. This is done to ensure that the police do not help people break into cars that are not theirs. Just to reiterate, if you are not stranded in a remote location, or if your life is not in mortal peril, you should resort to some of the options above before you call the police. Who are you going to call when your keys are locked in your car? The simple answer to that question is not the Ghostbusters. I hope that exploring all the potential avenues of help will show you how to properly navigate a situation where your keys are locked in your car. I know how much of a frustrating experience this can be, but if you keep a cool head, your car lockout issue will be solved in no time. If you have any other suggestions of who to call when keys locked in car, please feel free to leave a comment below.